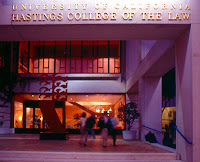 As an alum of UC Hastings, I recently had the privilege of participating in a "Small Firm Table Talk" in which dozens of current law students sit down to chat informally and one-on-one with dozens of solo and smaller firm practitioners. The purpose is to allow law students to explore different fields of law as well as alternatives to jumping into large firms which may not provide the career satisfaction for which many graduates are searching and which many of us have found. In addition to speaking with students who were interested in the legal fields of employment law and family law (two of my specialties), every student who found his or her way to my table wanted to know all about my mediation practice. Some of the more common questions I received were along these lines: "How did you get started in your mediation practice and what do you recommend I do while I'm in law school to help me become a mediator later?" 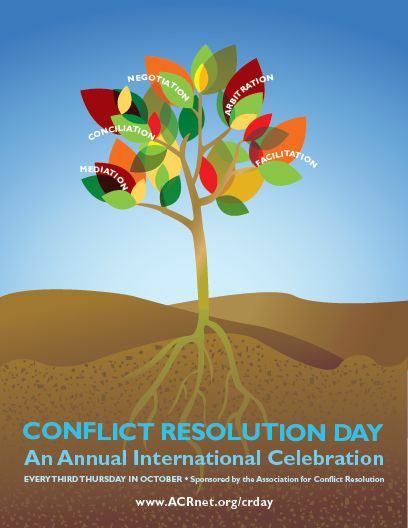 One of my suggestions to students was to get involved with one of Hastings' well-respected clinical programs, the "Center for Negotiation and Dispute Resolution" which gives classroom training as well as hands on training with real cases to mediate through the "Mediation Clinic." I also recommended community-based mediation programs and trainings if the Hastings Mediation Clinic was not an option or in addition to that course and fieldwork. As additional advice for those students, or any other potential student of mediation, I would like to guide you to mediator Vickie Pynchon's always interesting and useful blog "Settle It Now Negotiation Blog." I have pasted a short but helpful excerpt here for potential mediators and provide the link to the full article on "How to Start a Mediation Practice" so you can read more details and advice from Vickie's own experiences. 5) Be the exception to the rule. Well, and Also, I . . . . . . gave my new business a name (duly registering it with the proper authorities), “bought” it business cards (free at Vista Print) and built it a web-site (with Yahoo’s free web builder). making too many plans, so that when some of them didn’t pan out it was ok with me. This morning I am having fun creating a cartoon version of myself using Yahoo! Avatars. Sometimes we need a bit of comic relief. Try it yourself! Unrepresented Parties in Mediation: Is It A Good Idea? In my last post I discussed the fact that more and more contracts have "mandatory mediation" clauses requiring that the parties mediate their disputes before arbitration or litigation can be pursued. What this means is that more people are having to decide whether or when to hire an attorney if they are not planning to file a lawsuit right away but will be mediating the case first. The Question: Is it a good idea to enter mediation without legal representation? The Answer: sometimes yes, sometimes no. When the dispute involves unrepresented individuals on both sides of the table, there is generally a fairly even balance of power and knowledge. A mediator can work with both unrepresented parties to ensure all of the necessary information has been disclosed and that the agreements reached are inherently fair. This is an example of when legal representation may be unnecessary for a fair result. When the dispute involves a "sophisticated" company with decades of experience in negotiating deals (think national corporation or real estate broker) on one side and an individual who has little to no experience negotiating such deals or little to no understanding of the extent of his legal rights in the event of a lawsuit, this often results in a serious power imbalance. There is a significant chance that such a power imbalance could only be corrected when the individual has his own attorney to provide advice before, during and/or after the mediation and before any settlement agreement has been signed because the mediator cannot give such legal advice. Likewise, with two disputing individuals, if only one of the parties is represented, there is a good chance that the same problem of power imbalance may be present. This is because only one side is being told her rights and obligations and possible outcomes in court while the other side is ignorant of the possible remedies she might have. It is likely to be an unfair negotiation which can easily result in an unfair resolution. This might not happen if that party has the same benefit as the other party of legal representation and advice. Mediators cannot provide legal advice because we are neutrals and not attorneys in our role as mediators. Therefore, the mediator who recognizes a clear power imbalance which cannot be rectified through the open exchange of all necessary information in the dispute or through other means available to mediators (separating parties to defuse aggressive behavior or working to improve the communication skills of the parties, etc.) generally will advise the unrepresented party or the relatively "unsophisticated" individual who is negotiating with a powerful company of the importance of seeking legal representation in that situation. Some mediators may even refuse to continue such a mediation where it is clear such a power imbalance will negatively impact the unrepresented individual. Some parties come to mediation without attorneys but they have an attorney they are paying on an hourly basis to give advice before the mediation or to review the settlement agreement after the mediation. In fact, it is a requirement I have in divorce mediations that the parties get independent legal advice prior to signing the settlement agreement. This way everyone is assured that the agreements reached and settlement terms agreed to are fair to all parties and their own attorneys. Divorce cases involve specific complexities which, in my mind, require independent counsel's involvement, at least before the agreement is signed. This is not always the case in other civil disputes. Some mediating parties consult with an attorney throughout the mediation process but don't bring their attorneys to the mediation itself. This can work very well in a case where the legal issues are not too complex and the dispute is more fact-based. The parties may choose to call their attorneys from the mediation and run potential agreements by their attorneys and get legal advice during the mediation in this way. Other parties only consult with an attorney to review the proposed agreement. 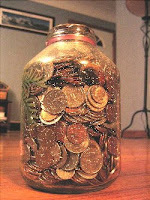 Sometimes, the extent of an attorney's involvement in mediation just depends on how much money the party was able to scrape together from the change jar to pay for a portion of the mediation and several hours of the attorney's time. The more complex the legal issues or power dynamics, the more it makes sense to get and keep attorneys on board throughout the process. The flexibility of the mediation process is one of the things I love the most about mediation as a dispute resolution method. Whether or when to bring in independent attorneys depends on the nature of the dispute, the complexity of the issues and possible remedies, the relative sophistication of the parties and their interactions together as well as what the parties themselves are comfortable with and what the mediator sees as a fair negotiation. It is increasingly common to find "mandatory mediation" clauses in contracts. This is true whether the contract is a property purchase agreement, a construction contract or any other business or personal agreement which was put in writing and in which somebody thought to include mediation as a first step in any dispute arising out of the written agreement. When such a provision is included in a contract, the parties are required to meet together with a mediator in an attempt to work out a solution before anybody heads to court to file a breach of contract or other lawsuit. This helps everyone involved save the time and money generally required to hire an attorney and file a lawsuit or hire an attorney and defend a lawsuit. Such a mandatory mediation provision essentially forces the parties to consider ways to resolve their disagreements in a structured and private forum well before it becomes a public dispute playing out in the courts and possibly the press. This "mandatory mediation" of such disputes is also the first time the parties may each be required to spend money out of pocket towards the dispute. This first pay out is usually slightly painful, but it is minimal compared with the pay outs required of everyone in the event the parties are unable to work out a solution and must proceed to court litigation. As part of my ongoing education as a mediator and also as someone who is interested in communication and negotiation issues in general, I am always reading books and articles to further enhance my own negotiation skills and knowledge. This ongoing education benefits my work as a mediator and as an attorney. 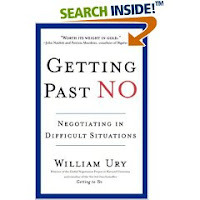 I am currently reading William Ury's book "Getting Past No" which was the follow up book to "Getting to Yes" written by William Ury and Roger Fisher in the 1980s. "Getting Past No" was written in the early 1990s but is still referenced by many mediators and negotiators as one of the must-reads for a professional mediator. And it remains highly relevant for anyone interested in improving their negotiation skills in business or in personal matters. Here is short excerpt regarding joint problem-solving : "We may all be negotiators, yet many of us don't like to negotiate. We see negotiation as stressful confrontation. We see ourselves faced with an unpleasant choice. If we are "soft" in order to preserve the relationship, we end up giving up our position. If we are "hard" in order to win our position, we strain the relationship or perhaps lose it altogether. "There is an alternative: joint problem-solving. It is neither exclusively soft nor hard, but a combination of each. It is soft on the people, hard on the problem. Instead of attacking each other, you jointly attack the problem. Instead of glowering across the table, you sit next to each other facing your common problem. In short, you turn face-to-face confrontation into side-by-side problem-solving." I recommend this book for everyone. Not a difficult read, but definitely worth the effort.